In Russia, officials cannot combine posts. The chairman of the Russian ruling party United Russia, Dmitriy Medvedev, has announced his decision to include Crimean prosecutor Natalya Poklonskaya and so-called Crimean "head" Sergey Aksenov in the list of party candidates for the State Duma of the seventh convocation. The party's senior bodies upheld his decision, it said on its website on 27 June. 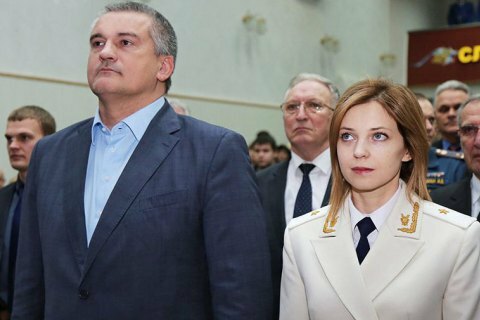 According to RBC, Poklonskaya's position on the party ticket is "half-passing" whereas Aksenov tops the Crimean part of the list. Russia will hold the parliamentary election on 18 September.